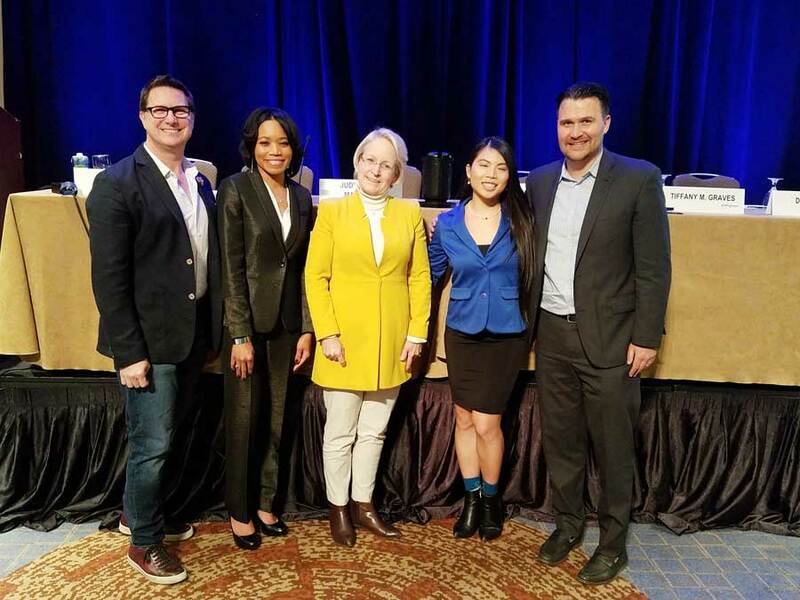 Tiffany Graves recently presented on this topic as part of a panel at the ABA TECHSHOW on March 8, 2018 in Chicago. 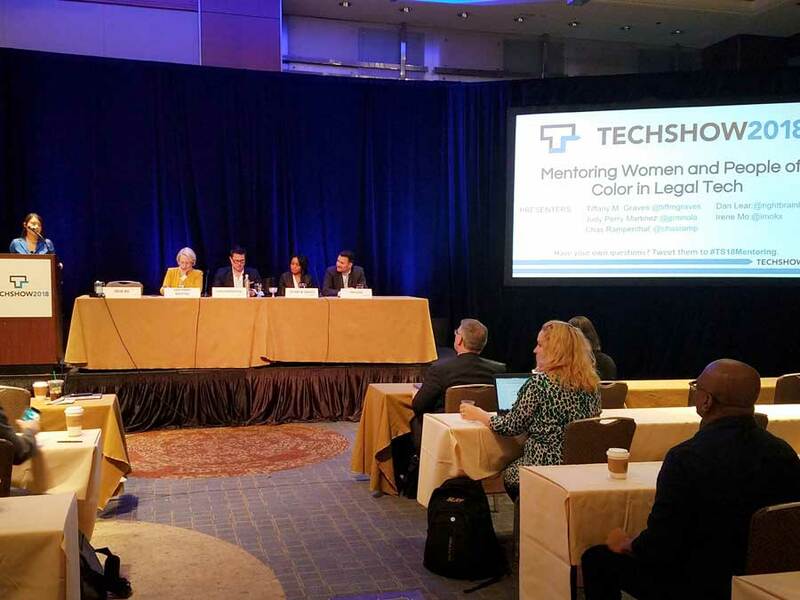 The panel, Mentoring Women and People of Color in Legal Tech, also included Dan Lear (Avvo), Judy Perry Martinez (Simon, Peragine, Smith & Redfearn), Irene Mo (ABA Center for Innovation), and Chas Rampenthal (LegalZoom). I have been out of law school for eleven years. I met my husband in law school at the University of Virginia School of Law. He is from Jackson, Mississippi, and rather than make him stay in Virginia, my home state, I followed him back to Mississippi after we graduated. Prior to moving to Mississippi, I had only stepped foot in the state once, for my now brother-in-law's wedding. As much as I loved my husband, I was incredibly nervous about moving to Mississippi. Like everyone who is not from the state, the things I had heard about Mississippi gave me great pause, especially as an African-American woman. I worried that I might not find the support in Mississippi that I had in Virginia — those mentors who cheered me on as I became the first to graduate from a four-year college in my family and, later, the first to graduate from law school. I did not want to enter into an environment where the color of my skin would restrict the opportunities with which I would be presented. It has been more than a decade since I moved to Mississippi, and I can happily report that I have found the support I knew I would need to help me navigate professional and personal decisions. I have had the pleasure of working at some of the biggest law firms in the state as well as with legal nonprofit programs dedicated to serving the state's underserved populations. I can point to at least one person — either a mentor or a sponsor — in each career setting who helped pave the way for my entry into a particular position, board or other professional engagement. The guidance I have received from mentors and sponsors throughout my legal career has had an immense impact on where I am today. Mentors and sponsors serve different purposes, but their end goal is the same: to support you in achieving your goals. Mentors provide guidance and advice, but they do not necessarily act as a coach or advocate like a sponsor. Those wanting career guidance and advice typically seek out mentors and, at times, mentors are assigned to professionals new to a particular industry or organization. In the legal context, for example, most law firms will pair a new associate attorney with a more senior associate or partner to help her navigate law firm practice. I have turned to mentors for guidance as I have contemplated career changes, considered accepting positons on boards, and thought about running for office in professional associations. Their advice has been invaluable and, at times, prevented me from making decisions that I would have most certainly regretted. Sponsors — some of whom were revealed, and some of whom were not — have helped me obtain promotions, get elected to statewide positions, and get appointed to boards whose missions closely-aligned with my core values. While I may have been able to achieve some of those things on my own, I will never discount the power of having people who believed in me and, in the case of my sponsors, having people who actively fought for me to advance. I am currently mentoring two young attorneys and one law student. They approached me about developing a mentorship relationship and I agreed to do whatever I could to support them in their professional and personal growth. I have also quietly and not-so-quietly sponsored colleagues in the past who were, fortunately, able to benefit from my advocacy. 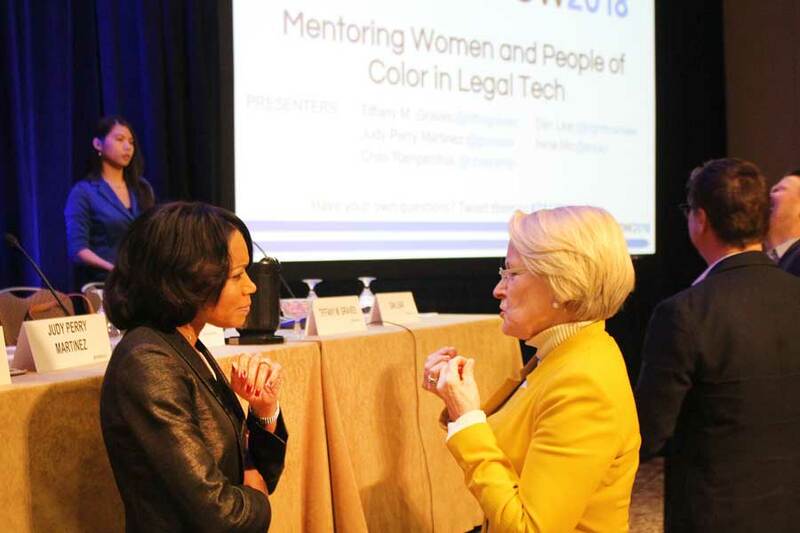 I will continue to mentor and sponsor to "pay it forward" and because I believe women, in particular, need other women of influence as their champions. This is especially true for women of color who do not always have familial and other connections to people who can advocate for them. Special thanks to the ABA Law Student Division, who first published Tiffany's article here.